Home / Website / Friday the 13th Week Begins Today! Friday the 13th Week Begins Today! 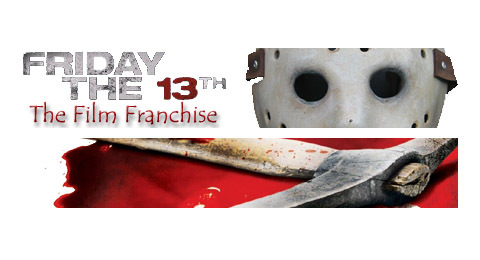 As many of you know, we will be hosting a community screening of three Friday the 13th movies this Friday May 13th! Along with the screening, visitors will be able to chat with other fans using our Chat Room located in the Discussion Forum. Throughout the night we will be holding trivia contests for prizes as well as announcing the winner of the Return To Camp Crystal Lake Contest. We will be watching Friday the 13th Part 2, Part 3 and The Final Chapter this Friday starting at 9:30 PM EST. In order to view the films, we will be posting a page that contains the movie on YouTube links, uploaded by another individual outside of this website. This will be for those people who want to participate, but do not have the films at home to watch or access to Netflix. The page information for the films will be posted tomorrow. The prizes we will be giving away for the trivia contests during that night include an RCA CED disc of Friday the 13th Part 3! These are indeed rare media, which were released in the early 1980's. 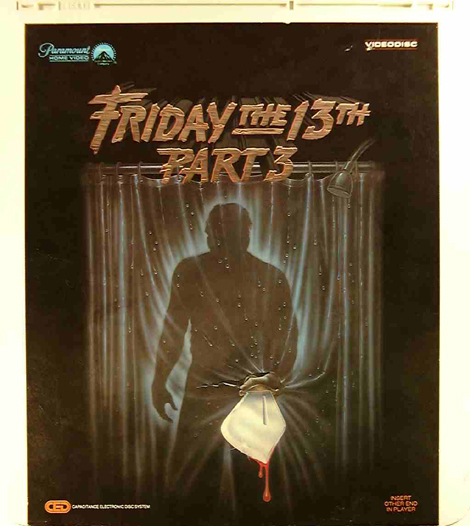 It's a nice piece of memorabilia to own from the franchise and fun to own a Friday the 13th film on vinyl disc. We will also be giving away a poster promoting Kane Hodder's new book Kill!, which was designed by artist Joel Robinson. Make sure to check out the official website for Kane's book at www.kanehodderkills.com. There will also be one other mystery prize to be announced on Friday night, so make sure to tune in! For the chat, you will need to have a Facebook, Twitter, MySpace or Yahoo ID to participate. We were unable to find a way to open up the login requirements for this week, but we will be working hard to expand the usability in the future. If you have any questions, please let us know, by commenting below or sending an email to contact@fridaythe13thfranchise.com. But wait, we can't wait until Friday to celebrate our favorite day of the year, so we will be posting numerous stories about the films we will be watching this Friday. So look out for updates on Part 2, Part 3 and The Final Chapter in the next threes days!